The second oldest unit established in the Western States District is Golden West Council 85 which was established on January 12, 1947. St. Patrick Court 95 was established on April 27, 1947. The units reside at St. Patrick Catholic Church in Oakland, California. 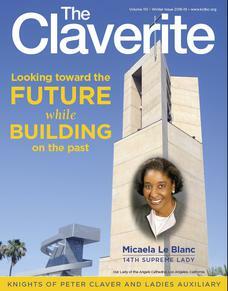 The Council is proud of it's history of Clavers in the Western States. The Court meets the 3rd Sundayof the month at St. Patrick Church in the Howard Center located at 1023 Peralta St., Oakland, CA 94607.